The Travel Way is an established service provider in Ahmedabad. We are acknowledged for offering wide array of services to our valued clients at reasonable price. We are indulge in serving our clients with Overseas mediclaim policies. These mediclaim policies covers all medical expenses while you are outside India or abroad. It covers all other financial medical emergencies while travelling abroad on holiday or business trip. We are associated with many institutions which provide many beneficiary plans to fulfill all requirements of our esteemed clients. We provide all our services at very nominal charges. The Travel Way is a foremost Ahmedabad based tour and traveling service provider. Since our inception, we have been engaged in arranging cost effective tour packages for our valued clients. Furthermore, we are also acknowledged for providing the facility of Passport and Visa and Foreign Currency Exchange to our clients. In addition, we are also offering domestic and international air ticketing facility to our clients in a hassle-free manner. We execute our services keeping in mind the convenience and financial constraints of our customers. Assisted by an experienced workforce, we have attained a reputed position in the traveling sector in a short span of time. The efficient members of our organization work mutually with the clients in order to offer them quality based tour and traveling solutions as per preset industry norms. 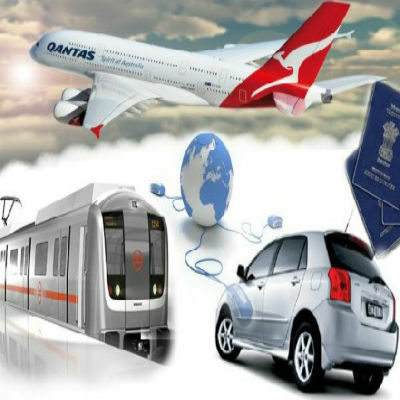 The Travel Way is succeeded in building a cordial and strong business relationship with the customers by offering a wide range of reliable traveling services at reasonable price.